Samurai Rebellion - The Story of Saigō Takamori is based upon an article I had published in Irish Fighter Magazine in 2010. As a traditional martial artist and avid Tom Cruise fan, the last samurai, was a particularly enjoyable movie for me. Sure it was historically inaccurate and the ninja were laughably portrayed, but the heart and essential philosophy of the movie was captivating. The beautiful romantic portrayal of the samurai and a civilization on the brink of change was moving, and recently re-told in the special effect driven bonanza Avatar. However, the actual history of is much less romantic, but far more intriguing. With this in mind, and the background of Hans Zimmer’s, Last Samurai soundtrack in the background, I sat down to read the real life account of Saigō Takamori, written by Mark Rivana. 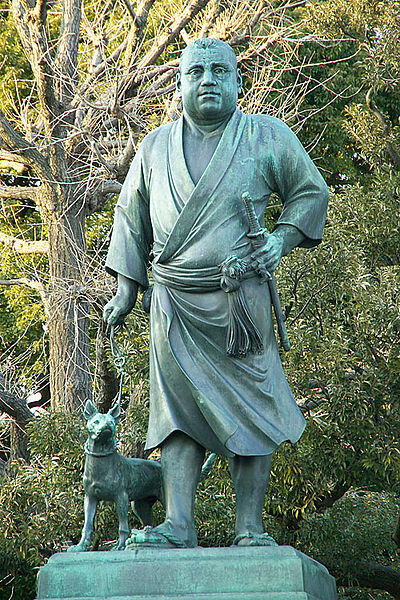 Rather than being the staunch defender of the status quo as depicted in the movie Saigō was instrumental in dismantling traditional Japanese feudalism, including the samurai caste and bringing Japan into the 19th Century. In fact, he embraced Western technology and admired some aspects of Western government. As Ravana writes Saigō was in one sense a true samurai, fierce in battle, compassionate in victory, loyal to a fault. A compelling character of study he was tortured by his perception of himself as a failure, eager to embrace death before dishonour, yet a man who knew he commanded such respect that he endangered the Meiji government by simply refusing to participate in it. An interesting and captivating insight of his life, the book analyses the historical facts about a man who became a living legend, defied, while still alive. The journey from his humble birth as a poverty stricken low caste warrior knight, to the confident of lords and emperors, is a surprising and enjoyable adventure. Combining political intrigue and spiritual dilemma, Ravana weaves a story about a man, conflicted by his sense of duty to his rank and status, and his desire for reform. Perhaps the aspect that surprised me most in this text was the revelation that Saigō was an advocate of western technology and thinking. This is a stark contrast to the thoughtful but highly traditional Saigō of the Last Samurai movie. Another enjoyable aspect of the book was the extensive passages devoted to Saigō’s time in exile. This occurred not once but twice, and from the historical accounts and excerpt from Saigō’s personal correspondence Ravana paints a picture of man who was more comfortable in teaching children and enjoying simple village life, far away from the political arena, than the courageous and determined Saigō of the Last Samurai film. More so, in seems Saigō was the reluctant and accidental leader of the samurai rebellion that ultimately claimed his life. Unlike the movie characterization where Ken Wantabe’s character is driven to oppose the emperor and fight a valiant but ultimately doomed battle against the superior arms of the west in order to show the emperor the error of his ways, the true historical Saigō was in fact, silent on the matter, wishing to not get involved have retired from political life a number of years earlier. Radicals and rebels took this silence as an endorsement of their causes and rallied other under Saigō’s respected banner. Ultimately Saigō acceded to these demands to lead the samurai rebellion, but his initial plan was to simply go the capital and talk. The radical contigent however made this impossible and Saigō was left with little choice but to lead a campaign he had no true wish to begin. 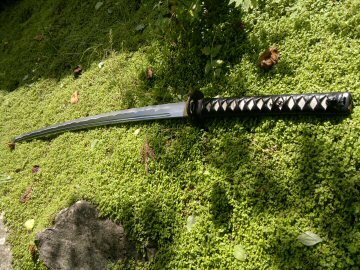 Once enmeshed in battle however his fighting samurai spirit was rekindled and he fought a battle he knew he’d lose. Again in contrast to the film, the battle itself was a far cry from the glorious depiction in the film. In fact the truth of the matter is that Saigō along with key members of his rebellion fled the battle and escaped, moving from town to town while being chased by the enforcers of the state. He took on the persona of a popular folk hero, running from oppressive government and cunningly escaping each situation. 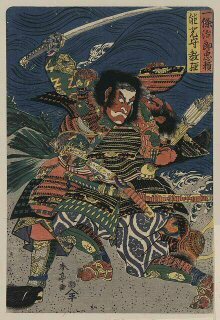 During this period the popular press deified him in woodblock prints and he transcended the reality of his situation and came to represent the ideal samurai. His true strength was less the reality of the man, but the symbol he became, the icon he was fictionalized into. 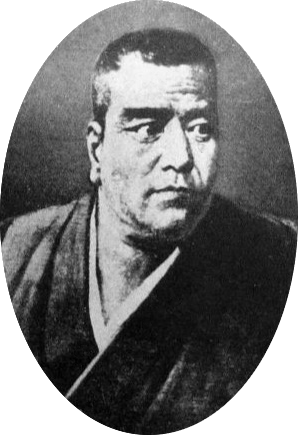 The point of Saigō’s life, Ravana deftly shows, was less his actual cultural and physical achievements in his personal or political life, but as a name and figure head of propaganda in the Japanese media. 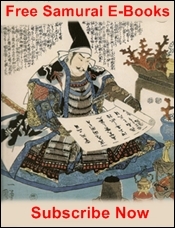 During his own life time his acts became larger than life, stories of his prowess, daring and intelligence became exemplars of samurai life, despite the fact he found such gossip amusing Saigō realized the importance of this role in the samurai rebellion and bore its burden, leading to his ultimate death and beheading. I highly recommend this excellent reflective account of a man who became more than just mortal in his own life to those interested in Bushido, and the history of the samurai. 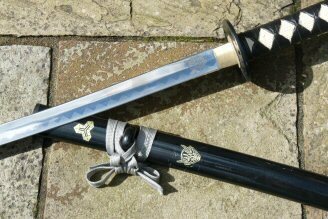 It is a brilliant example of how the precept of bushido, the philosophical under pinning of the samurai class, was truly applied and a wonderful contrast to a film that inspired many to study to the way of the samurai. You've been reading Samurai Rebellion, the Story of Saigō Takamori. 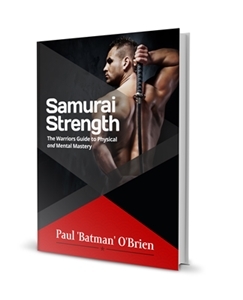 Learn about more amazing real life samurai here. 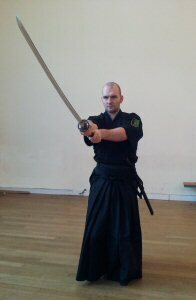 Click here to Return to the Way of the Samurai Home Page.